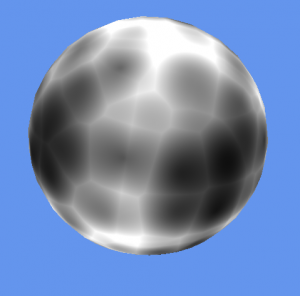 And I got a basis implementation for this effect from : A hybrid approach for procedural planets. 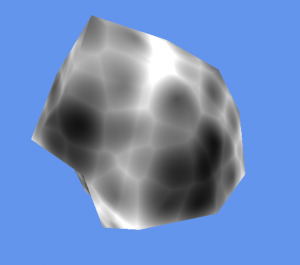 This could be used for craters, cracks and many other possibilities. Psirens is converted to XNA 4.0, and it was about a half day to get it running. It looks like crap (culling, shading and transparancy problems). This will take some time to fix…. The blog of shawn hargreaves explains a lot so check his entire site for info. Created a video of Psirens with fraps. A very good video-capturer of in game action. 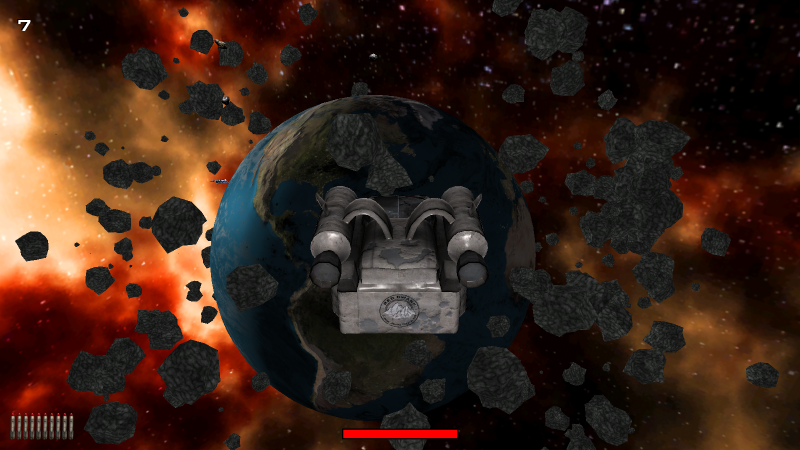 Placed the procedural asteroids around the earth sphere. Added rotation, direction and speed. 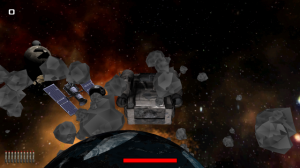 I was wondering if the procedural texturing would make the system bog down. But it didn’t, so it won’t break a sweat on the Xbox 360 either I suppose. What takes a bit longer on the Xbox however is the creation of the rocks. But that is probably because of the poor floating point performance of the Xbox. I guess the Moon is finished…..